What else is there to do when it’s 100 degrees in the shade? Other than hearken back to a playlist from cooler weather (albeit eight years ago). 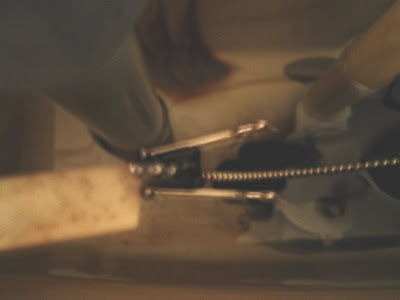 The plastic toilet handle doo-hickey that attaches to the metal, beaded, string-like thingmabob that allows the tank stopper to get raised and lowered broke off at the connecting end. My first, temporary solution was a twist tie, which lasted for one flush. Terrible idea. So far the binder clip is working fine and if it does the job I will leave it. 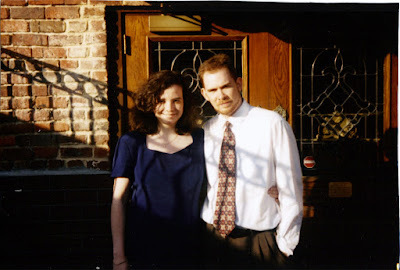 This is my wife and I in front of the Spaghetti Warehouse, which I believe is no longer in existence. We were both quite younger (ten years ago or so, I believe).